Is the notion overly dramatic? Perhaps — the downfall of a national church. 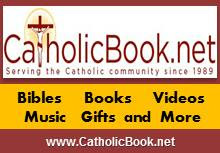 And yet listen to Archbishop Georg Gaenswein, secretary to Pope Benedict, Tuesday, at a book signing (for The Benedict Option) in which he said: The U.S. reports of abuse showed “how many souls were incurably and mortally wounded by priests of the Catholic Church.” The archbishop continued, “They bring us a message even worse than the sudden collapse of all the churches in Pennsylvania, and the Basilica of the Immaculate Conception in Washington” [our italics]. He was alluding of course to the incredible scandals that as it turns out — as we reported just last week — first began a meteoric rise around 1955 before simmering down in the mid-1980s — but which are coming back to haunt American bishops as they never have been haunted, lashing with particular specificity at the National Shrine of the Immaculate Conception, flagship of the D.C. archdiocese — where disgraced ex-Cardinal Theodore McCarrick once reigned and from which the current cardinal, Donald Wuerl, may soon be forced to resign due the national cover-up of those scandals.